It’s not in your head. 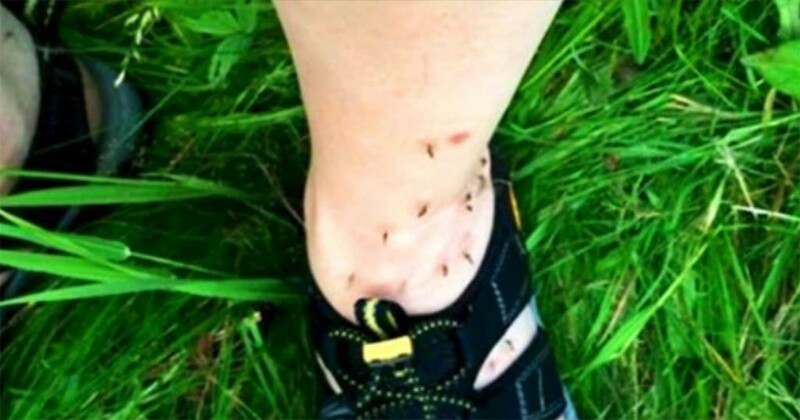 Those summer evenings around the fire, trips to the beach, and family hikes through the trail where you were practically covered in mosquito bites while everyone else was left virtually untouched? It turns out, there’s actually a scientific reason some people are much more attractive meals to mosquitos than others. Luckily, there are also extra things you can do to help prevent those itchy bug bites in the future. How Do Mosquitos Choose Who to Snack On? Mosquitos are attracted by our breath- specifically, the carbon dioxide that we all exhale. So, if you’re outside working up a sweat (more on that later) and increasing your breathing rate, you’re putting yourself on more mosquitos’ radar. Unfortunately, this can also affect people who sometimes struggle with heavy breathing even when inactive- people with severe asthma, obesity that affects their mobility, and pregnant women. Your sweat has a few different ingredients, the most attractive of which to mosquitos is lactic acid. The more you sweat, the tastier you’ll seem. In fact, there has been some evidence that older sweat leads to more mosquito bites than “fresh” sweat (1). That’s why you might notice you’re getting more bug bites the longer it’s been since you last showered (looking at you, family camping trip). Bad news for everyone who likes to enjoy a glass of wine or a cold one on the porch at night. A 2002 study confirmed that the increased ethanol content in your sweat and breath when drinking significantly increases mosquito attraction (2). Our bodies are teeming with bacterial cultures- it’s all a part of keeping our bodies healthy and in balance. But everyone’s microflora collection is a little different, and some types of bacteria work to repel mosquitos, while others are practically ringing the dinner bell. A 2011 study found that people with generally more bacteria on their skin than average were more attractive to mosquitos (they tested feet specifically, so chances are, if you’re prone to smelly feet, you’re a target!). Researchers also identified that Staphylococcus bacteria was especially attractive for mosquitos, but Pseudomonas aeruginosa bacteria was unattractive (3). A 2003 study concluded that mosquitos land significantly more often on people with Type O blood, and people with Type A blood weren’t too far behind. Meanwhile, Types B and AB weren’t a big influence (4). It’s not clear why mosquitos would demonstrate this preference, though. “Laboratory studies conducted since the 1998 EPA review have suggested that DEET exposure can affect the nervous systems of rats (Abdel-Rahman et al 2001, Corbel et al. 2009). People who use DEET daily have reported suffering symptoms including rashes, dizziness, difficulty concentrating and headaches (ATSDR 2004). Studies using DEET alongside the pesticide permethrin have raised concerns that DEET could cause neurological damage and epigenetic changes (Abdel-Rahman et al 2001, Manikkam et al 2012). So, while DEET products are still legal, and arguably safe for most people to use in low concentrations, there are several other more natural alternatives to use, especially in areas where pathogens like the Zika virus and malaria aren’t a concern.